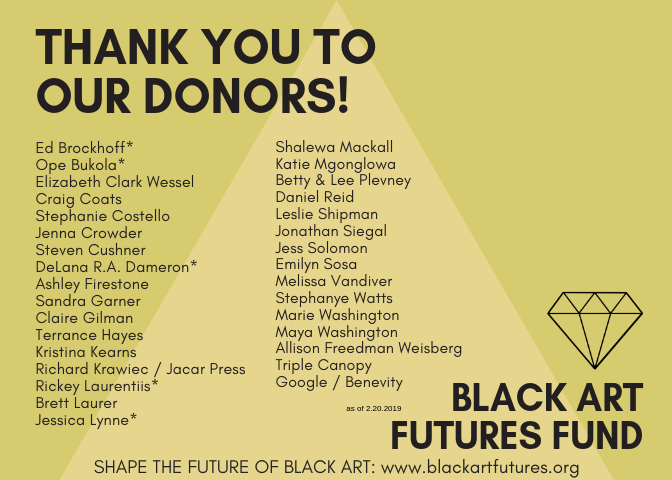 Black Art Futures Fund grants are funded by individual contributions. With a minimum gift of $1,000, emerging philanthropists of Black arts can join a community committed to amplifying the rich artistic contributions of arts & culture organizations and artists who center and showcase Black arts. Steering committee members have the opportunity to meet current and prospective grantees, make funding recommendations, network with like-minded emerging philanthropists, VIP access to art events, and more.